Description Like to blow stuff up? Then lets go Bombin. Click bombs to blow them up. Any bombs of the same color that are touching will explode too. 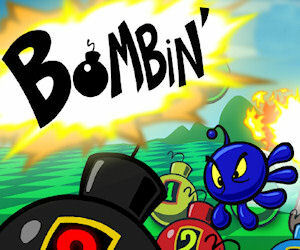 Bombs that are blinking will explode if they are touching any exploding bomb, potentially causing massive chain reactions. Watch out for the dreaded Skwids, and blow up the really big bombs for huge bonuses. Addicting and fun. Controls Click the bombs with the mouse.